Coming up this Sunday. His outstretched arm "OLOWOGBOGBORO" has given us victory, Miracles signs and wonders come from Him alone. 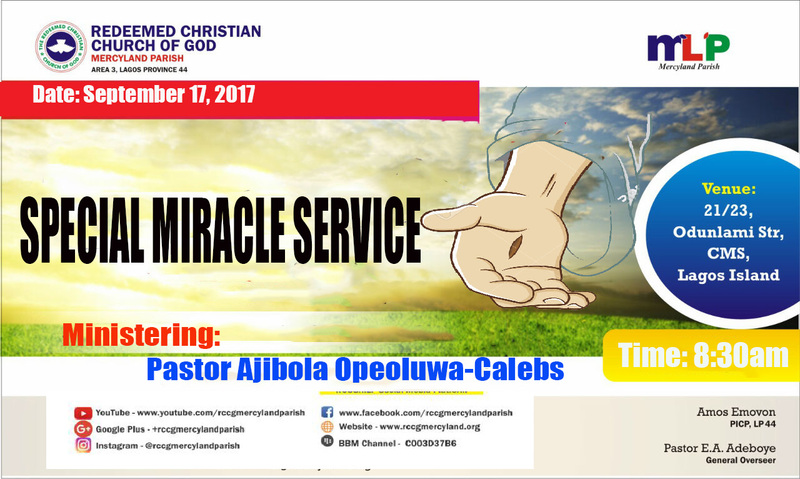 It's your turn to laugh as you join us this Sunday for Special Miracle Service. Cheer up! 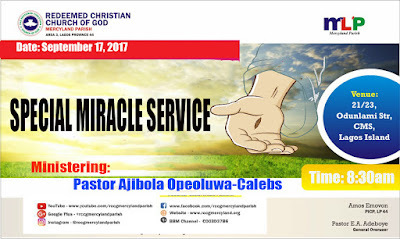 your season of miracle is here. You can't avoid to miss it.